The Flagler College Saints Women’s Soccer Elite ID Camp will be on the 15th of October at the Flagler College Athletics Complex. This 3-hour elite ID clinic is an initiative of the Flagler College women’s soccer coaching staff. The camp is open to all girls in grades 9 and up. The camp’s objective is to immerse the attendees into a collegiate level training environment. All the training sessions are a simulation of what the Flagler soccer program is using. Correspondingly, the camp focuses on improving the player’s technical and tactical understanding. The camp is also an opportunity for superb soccer players to show their skills in front of college’s coaches. It will start at 12:00 PM and end at 3:00 PM. Check-in will start at 11:30 AM. Flagler College is a private, coeducational, nonsectarian, liberal arts college in St. Augustine, Florida. It is offering 31 major and 36 minor academic programs. The academic institution has an accreditation from the Southern Association of Colleges and Schools Commission on Colleges. Flagler College is one of the region’s leading colleges. In fact, it is 2nd in the Regional Colleges South, 2018 edition of Best Colleges rankings. It is also 6th in the Best Value Schools rankings. Moreover, Flagler College is accommodating around 2,500 students. The acceptance rate is 55 percent while the student to faculty ratio is 16:1. In athletics, Flagler College fields 16 college sports teams in the Peach Belt Conference of NCAA Division II. The athletes’ nickname is Saints and Lady Saints with crimson and gold as their official colors. 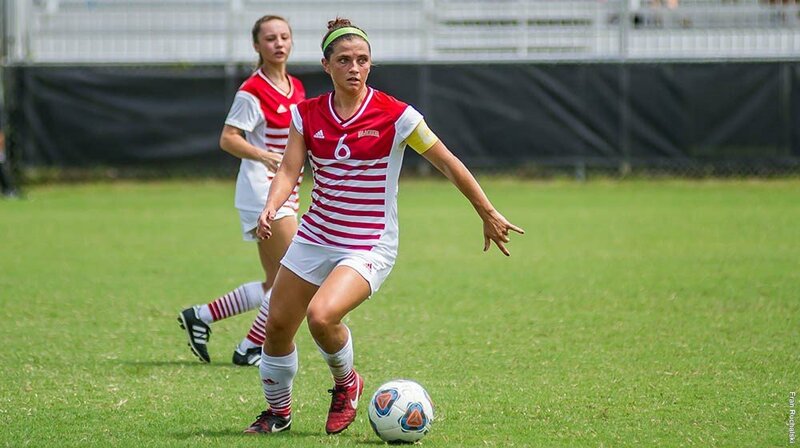 Leading the Flagler College women’s soccer team, since January 2014, is Head Coach Ashley Martin. He is the Lady Saints’ former assistant coach. Under his guidance, the Lady Saints’ has already 2 Peach Belt Conference Tournament appearances. Additionally, Coach Martin is a NSCAA Premier Diploma holder. Then, helping Coach Martin are assistant coaches Davis Fox and Ken Miller. Finally, the team’s student manager is MJ Fatouros. The Flagler College Saints Women's Soccer Elite ID Camp will be on the 15th of October at the Flagler College Athletics Complex.